Not every company is going to have the exact same business needs. That’s one of the biggest reasons why custom spaces are developed. If you are already in a great location, then you shouldn’t have to give it up just because you want to expand. Cheap Panel Built mezzanines online are one of the easiest ways to get the custom space you need to increase your busines’s productivity. Several different mezzanines can be created to fulfill your exact needs. With additional customizations, you can create the ideal operational space with offices, catwalks, storage and more. The goal is to do more than give you a bird’s eye view of your operations. Mezzanines by Panel Built are designed to help you take full advantage of the vertical space that you have available. Learn more about how Panel Built mezzanines and how they can cater to your business style with this guide. Once you discover more about the companies that sell steel mezzanines online, you will understand just how much they can do for your business. The best modular mezzanines available for sale are designed to be multi-purpose. Nearly all custom mezzanines are ordered so they can serve a dual purpose. For example, you might need to add a manager’s office to your factory, but why not position it so that it oversees your operations? With mezzanines, you can gain a lot of space that can be customized so that it perfectly meets your needs. The sky is truly the limit when it comes to creating modular mezzanines. Whether you are hoping to make something basic or really complex, you will need to work with a company that has years of experience. Panel Built has helped many businesses create complex systems that can withstand heavy use. We work to select the best style of office mezzanines available, then select the best materials to create the project. Cold-rolled mezzanines available online can include a wide range of features to better suit your needs. Sliding glass doors, windows and catwalks are very common additions. If your mezzanine is large, you may even consider adding a large meeting room or storage space. With materials carefully chosen for their durability, you can rest assured knowing you are getting a mezzanine that will last for years. Because of our extensive experience, we are able to easily combine designs and styles to bring you a truly unique space. This helps you to get the most value out of your investment. While mezzanines price will be practical, it is important to always feel like you got your money’s worth. Panel Built is a popular company to work with because of the strong materials we choose to build our prefabricated mezzanines. We only work with the best materials available so that we can create a strong, valuable space for your company. Our prefabricated steel mezzanines are reinforced throughout with heavy duty materials and structural grade bolts. While our products may sound very industrial, they can be beautified in a number of ways. Many mezzanine offices, for example, try to create a more appealing, yet affordable look. Some of the options we give our clients include aluminum or abrasion-resistant power-coated steel for durability. As a company that sells prefabricated steel mezzanines, we also offer options for vinyl-covered gypsum panels that have a no-strip appearance. The goal is to help give you the choices you need to create a sophisticated addition to your company. When it comes to structural mezzanines, the construction company you work with is going to make all the difference. Panel Built works to stand out from the crowed by giving you superb customer service and quick deliveries. We have years of experience working with all kinds of companies to help them create systems that truly help their businesses grow. 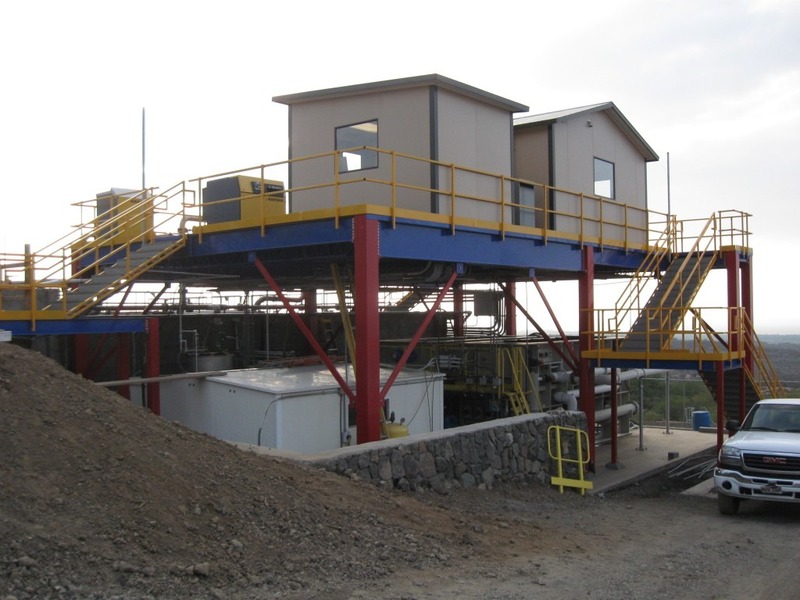 Unlike other companies, all of our cold-rolled mezzanines are produced off site. By using the modular structure, we are able to not only produce mezzanines at a faster rate, but produce an overall better quality product. You won’t have to worry about messy construction crews or having your business disrupted. Instead, you just order and wait for your mezzanine to arrive. It is that simple! We also offer a diverse selection of free standing mezzanines and modular buildings. This allows you to get the exact structures you need. You can also keep your construction more affordable by working with buildings that have already been produced, helping your company save money. Panel Built also stands behind everything that they produce. After creating your new steel mezzanines in a state-of-the-art factory, they are able to offer you an exclusive warranty. Our company has confidence in our buildings, and we want you to have peace of mind every time you place an order with us. With a dedicated sales team that is willing to help you during every step of the selection and installation process, it is easy to see why so many companies are turning to Panel Built for their business needs. If you are wondering where to find custom mezzanines online, look no further than our experienced company. Find a company that sells prefabricated steel mezzanines online and see how much these practical structured can help you grow. Contact Panel Built today to learn more!